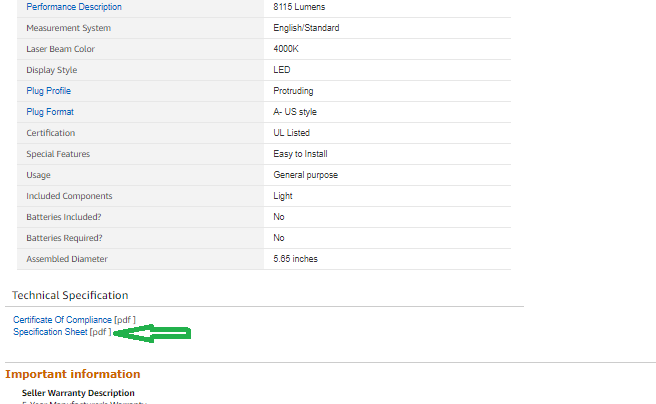 Ever read the name of a commercial LED light on Amazon and laughed? Some are indeed funny. Why is a shoebox light called a shoebox? Why is a corn bulb called a corn bulb? What do they do? What’s the typical application? Why should I use one over the other? 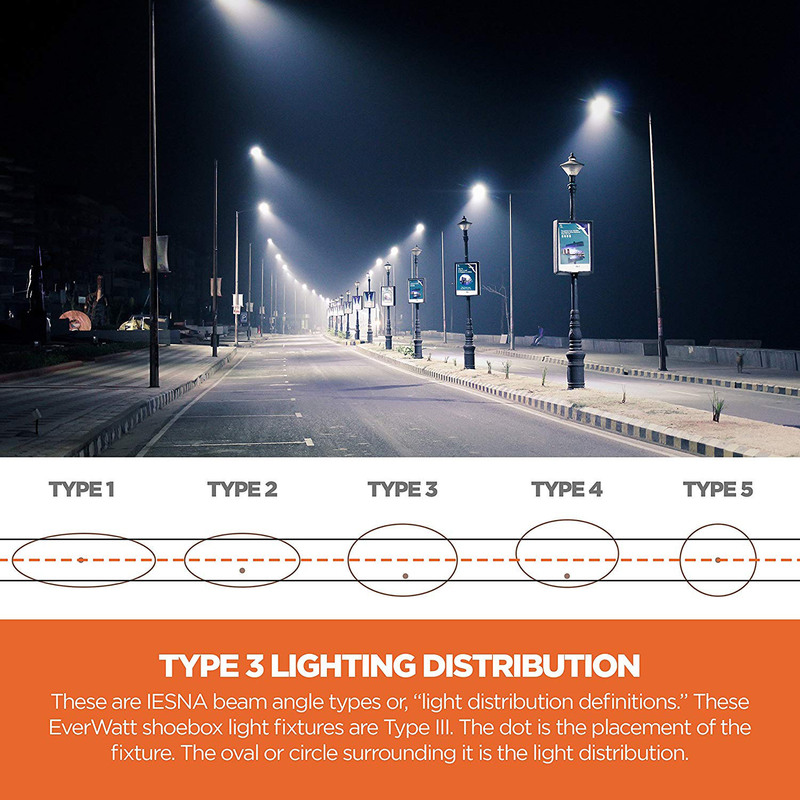 What specifications are important when selecting from the myriad different LED light bulb types? Everything you need to know is contained in the compendium below. This replaces your regular ole gas-filled-tubes-office-space light. You know the tubes you have behind the plastic panels in the roof of an office building, or worse yet, in the hanging, uncovered fixtures? The ones that make you look and see how close to 5pm it is? These are an LED version of that. Work the same way except like most of these, you have to bypass the ballast that drives the incumbent CFL version. This is your regular old Joe light bulb, but with LEDs instead of a wire filament or poisonous gas, or both. It’s just made to look like the household light bulbs we’re used to. Every other bulb or fixture on this page is for commercial use, but we figured this deserved at least some representation.Common examples of this type are the Phillips Hue or the GE ‘C’ with which you can change the light color temperature to give a room a different look and feel. Every other bulb type on this page is all business. If you’re in a warehouse and you look up, you’re likely to see one of two things: long hanging tube lights or UFOs. 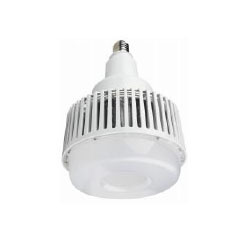 This is a replacement for your typical giant metal-halide bulb that goes in a high bay fixture. Again, the ballast for any high-pressure gas light will need to be bypassed, but that’s a good thing, because not only do lights burn out, so do ballast. Now, instead of having two things that go out all the time, you have one thing that pretty much never goes out. The most common wattage you’ll see in a warehouse for the bulb being replaced is a 400W metal-halide bulb inside the fixture. 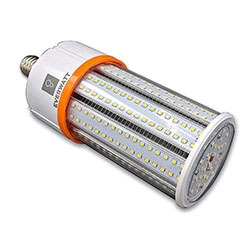 This unit typically replaces those 400W metal halide bulbs with 100W or 150W of LEDs, producing just as much or more light than before. This is just like the guy right above it, except you screw it into an existing fixture instead of replacing the fixture. 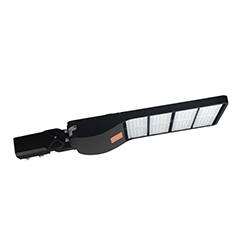 The benefit is ease of use in certain applications, but while this may avoid replacing the fixture, you’ll have to bypass the ballast anyway, so you may just want to replace the whole fixture. 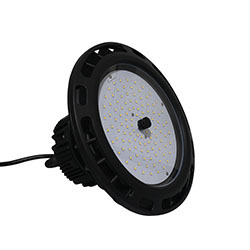 Just like the high bay fixture is a great replacement for your typical warehouse metal halide fixtures, this is a great replacement for CFL tube lights in a warehouse. 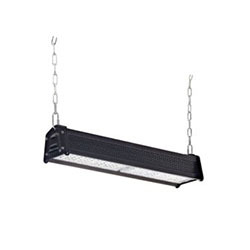 Just replace the whole thing holding the CFL tubes and hang this instead, and you’ll stop having to be annoyed every day by the conflict between your desire to avoid looking at the sporadically burned out CFL tubes and your aversion to renting a skyjack to replace them every few weeks. 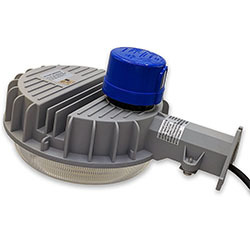 Just like the hanging troffer fixture replaces hanging CFL tubes, the recessed troffer usually replaces your typical CFL tubes inside of panels. You know those thing squares in the ceiling of offices where every fifth one or so is a translucent plastic cover that contains the soul-draining CFL tubes? These replace that. Retrofit kits usually have interesting applications. They are for when you can’t simply screw an LED bulb into the old fixture and bypass the ballast, but you still don’t feel like replacing the fixtures. 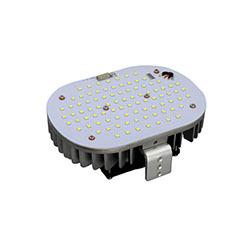 LED retrofit kits allow you to keep the fixture as it is, but replace the light with an LED light in its place. It’s basically used for the situations paddle bulbs (below) are used, but for fixtures where the light doesn’t screw in (which is where you’d use a paddle bulb). 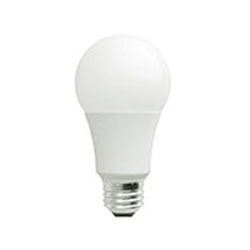 Ahhhhh, what to say about the corn bulb… It is the most versatile of LED bulbs. Just screw it in to gazillions of different applications and go (assuming of course that you bypass the ballast). It’s called a corn bulb because the rows of LEDs running down the bulb make it resemble some sort of Transformers robot corn. They can screw into your regular household fixture socket (E26 or “standard”) as well as your typical big-bulb warehouse socket (E39 or “mogul”). These are also available in less common socket sizes. Here’s a link to our corn light bulbs on Amazon where you can see the spec sheet for all the stats. Called so because it looks like, well, a paddle. Paddle bulbs are some times also called a 180 degree corn light. Reason being, it’s conceptually very similar in design to a corn light. It just… doesn’t look anything like corn. Paddle bulbs are also an extremely versatile option for retrofitting different types of non-led lights, because they can screw into fixtures that are directional that previously contained metal-halide or high pressure gas lights. 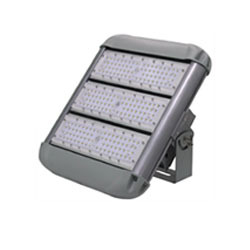 Things like wall pack lights, canopy lights, street lights, etc. See the image below for a better understanding of how an LED paddle bulb could be used. 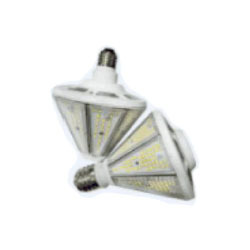 The typical application for LED acorn bulbs or “post top” bulbs is to go inside one of those imitation gas lights or “decorative post top” lights you see in a park or to decorate the side of a house. Other than that, it’s basically a corn light. Drop lights come on the end of a long power cord, so you could “drop” them to where you want them to be. Often times as well, you will see a “pass-through” plug on a drop light, so that you can effectively use the light’s long cord as an extension cable. Since they are usually used for temporary work locations, you often are going to want access to power in those locations where you are doing work. 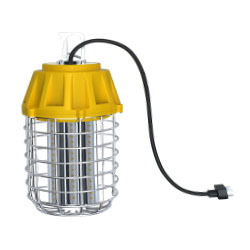 The traditional version of these LED drop lights are those super-cheap yellow plastic cages that you can buy at home depot for a couple bucks, that have a plug on them and a plastic cage guard that opens where you an screw in a simple incandescent bulb. The difference between those and these are that LED drop lights or construction lights don’t open because they don’t need to, and they come with the light installed. Typically, the difference between a wall light and a wall pack is size (in both wattage as well as physical size). 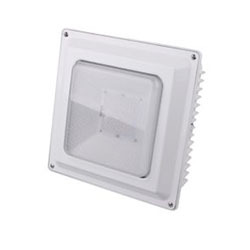 They can be used interchangeably, but in common terms, a wall light is a low wattage (for LEDs, let’s say 5W-30W) fixture where as a wall pack is usually 30W and up, and is bigger. Wall lights are about the size of your hand, and wall packs are about the size of a bread box… although I’m not sure I’ve ever actually seen a bread box. I’m also now feeling like there should be a light called a bread box light. … hmmmmm. 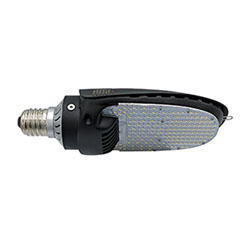 The “cutoff” in an LED cutoff wall pack is referring to how the light is designed to angle or aim the light more downward than your traditional wall pack, illuminating the side of a wall or walkway. No-cutoff wall packs are meant to flood the outside of a wall with light. Occasionally you will see these affixed to poles. 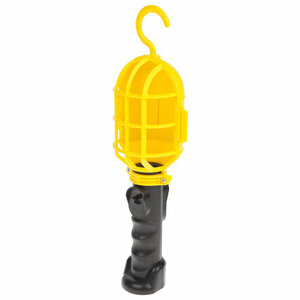 They are also often used for building ingress/egress locations to specifically light the doorways. Most of the applications of canopy lights are just that, canopies. These are the lights you see underneath gas station awnings while you’re filling up your car. 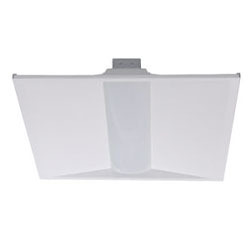 Like wall packs, LED canopy lights allow you to have acrylic covers instead of glass (also applies to many other led light bulb types), avoiding that yellow-teeth color you get with metal halide and high-pressure-sodium fixtures. You can find canopy lights in both square and round fixtures. 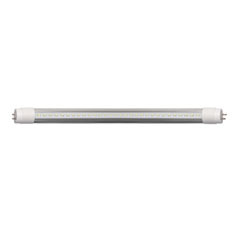 If you don’t want to replace the entire fixture, consider a LED retrofit kit instead. 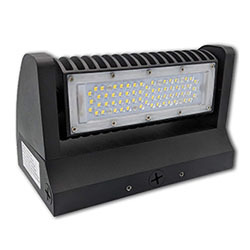 Just like it sounds, an LED flood light is meant to flood a wide area with light, usually to highlight or draw attention to architectural components. For example, to light up the side of a wall to highlight its texturing (Or to illuminate some trees or topiary gardens). LED shoebox lights don’t really look that much like shoeboxes these days, but the original casting molds for them did, which is why they’re still called that today. Basically “shoebox” light just means an LED streetlight or parking lot light that goes on a pole. They typically come with a single mounting option but have available alternative options that can be ordered.. Most of our shoeboxes come with a slip-fitter mount, which just slides onto the end of a pole. There are also direct-mount options (for mounting to the side of a pole) and yoke mount options, for mounting to the side of a building or some other flat surface that is attached to a pole. The large surface area of these directional lights allows for considerable wattage variants. For example, we sell 90W up to 600W shoe box lights (A 600W shoe box being big enough to replace a 4000W! metal-halide or high pressure sodium). 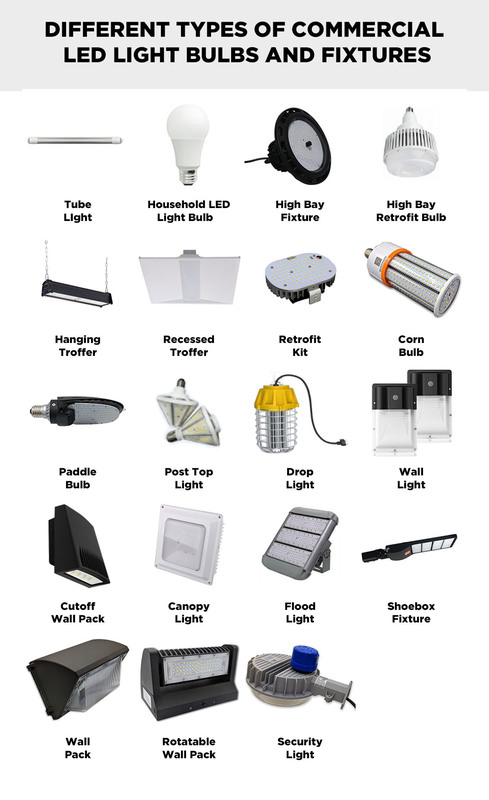 Like most big outdoor lighting, they usually come equipped with some way to install a variety of controls like motion sensors, photo sensors, timers, controls. If those are not needed, the receptacle or “twist-lock” port to install them can be replaced with a shorting cap. 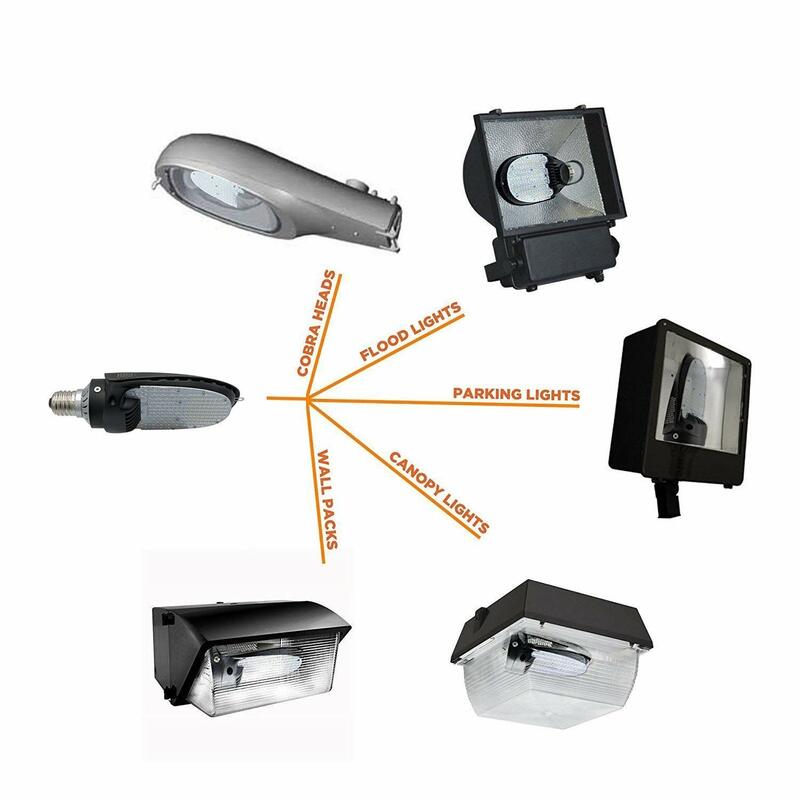 This is your traditional area light that you see on the side of buildings to light parking spots or just the exterior of a building. 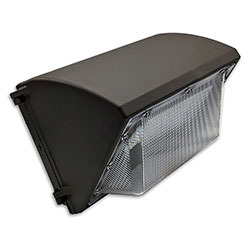 The traditional metal-halide versions of these LED wall packs look the same as the one in the picture, but when you are choosing an LED wall pack, there are often many innovative new styles to choose from, because there are a lot more design options. Plus you can get acrylic covers instead of glass (where the gas inside a traditional wall pack slowly turns the glass into that yellow teeth color). A rotatable wall pack is just like your traditional wall pack, except that instead of being entirely static, the LED modules can be adjusted. 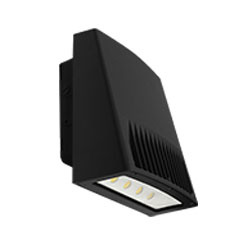 This allows you to aim the LED modules more outward or more downward (or perhaps even updward). This effectively means you have a potential zero-cutoff wall pack, a semi-cutoff wall pack, and a full-cutoff wall pack all in one. 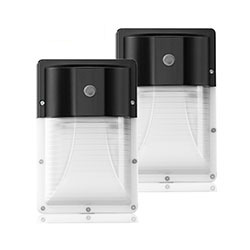 These are used for typical security applications and can be mounted on a pole or to the side of a wall. They can also be used as street lights or parking lights. They are often equip-able or come standard with a photocell, control, timer, motion sensor, or some other way to turn it on either during night time or when someone is near. Q: What’s the difference between a light bulb and a light fixture? To put it as simply as possible, a fixture is the thing the light bulb goes in. Some fixtures come with the bulb (or LEDs) and others do not. Q: What does it mean to bypass the ballast? And when do I have to do it? LED lights have a “driver.” All gas-filled lights have a “ballast.” Both effectively do the same thing, but an LED bulb can’t use a ballast and a gas-filled light can’t use a driver. What you definitely don’t want to do is use both. So, that’s why you usually have to bypass the ballast when using an LED light, because it’s highly likely that you’re replacing a non-LED light with your LED light, which will not have a driver and may have a ballast. Q: How much energy is an LED bulb or fixture going to save compared to its CFL, metal-halide, high pressure gas, or incandescent equivalent? Well, these are round numbers and not exact, but for a rule of thumb, LEDs are five times as efficient as incandescent (if you’re spending $1 a month you’ll be spending $0.20 after the replacement). They’re about twice as efficient as CFLs. Q: How do I know how the light will shine on the ground or a wall before I purchase it? I won’t say this is super easy, but there are a few things you can look for. The first is a specification called “lighting distribution,” which will range from Type I to Type V, defining how the light shines. Then, based on how far away the light will be mounted from where it hits, you can to some degree calculate the area it will illuminate. The other more technical thing to get is an “IES” report, which you’ll need to download a free viewer to look at. Essentially, all directional light should have some sort of information concerning this in the specification sheet, so just ask your supplier for that. We want to make this post better if we can. If you can think of something for us to add, or notice an error, please leave a comment below and we’ll dig into it. Thank you.